Not all diamonds are created equal. Developing an understanding of diamond grades can help you determine the differences among stones and make the wide variation in price ranges make sense. With careful evaluation of a stone's characteristics, gemologists grade a diamond and determine its overall level of quality and value. In return, this gives you, the consumer, the knowledge to make an informed decision about the stone you plan to purchase. The Gemological Institute of America (GIA) developed the 4Cs and the GIA International Diamond Grading System™ during the 1940s and 50s to judge diamond quality. This system is commonly used by diamond dealers and jewelers to examine stones based on the 4C's of: cut, carat, clarity and color. Brilliant cut: Brilliant cuts are positioned to show the maximum amount of a stone's inner fire and is extremely popular for round and oval diamonds. The cut has 58 facets spread throughout the diamond. Step cut: Step cuts are popular in antique diamonds and vintage-style stones. It involves a series of sloping parallel cuts below the diamond's table or face. Step cut gems have fewer facets than brilliant cut stones and as a result generally have less fire. The stones are usually square or rectangular. Popular step cuts are the Asscher, cushion and emerald cut diamonds. Mixed cut: Mixed cuts contain elements of both the brilliant and step cuts to create a variety of shapes and effects. This type of cut is often used for fancy colored diamonds as well as for some more modern cuts, such as the princess or trillium. Diamond weight is measured in carats. The term "carat" is derived from the seeds of carob tree pods. For centuries, carat seeds were used to help weigh gemstones. Even after the practice was abandoned during the 21st century, diamond weight is still referred to as carats. One carat is divided into 100 points, with five carats making up a gram. Flawless diamonds and VVS-1 and VVS-2 gems are significantly more expensive other diamonds with visible inclusions. Natural diamond color varies and the highest quality white diamonds should appear colorless or clear. The GIA color grading scale rates diamond color from D (no color) thru Z (rich colors / fancy colored diamonds). A trained grader will compare a diamond's color by hand using a set of master stones in each of the letter categories. Some jewelers will use a machine called a Colorimeter to judge diamond color instead of hand grading. Many other organizations use systems based off of or similar to the GIA's grading scale and use the concept of the 4Cs to determine quality. The number and letter may differ among the different systems. American Gem Society: The American Gem Society is also well-respected and uses numeric values from 0-10 for their cut, color, and clarity measurements. The best grade according to this scale would be 000, indicating flawless or nearly flawless clarity, a colorless diamond, and an ideal cut. International Gemological Institute:The IGI was established in 1975 and was one of the first to develop a comprehensive system for diamond cuts. You can view or download their complete Diamond Criteria Guide online. International Diamond Council: The International Diamond Council established its diamond evaluation system in 1978 and provides an online IDC rule book, which explains their grading system for cut, clarity, color and fluorescence, and weight and shape in detail. European Gemological Laboratory: The EGL was established in 1978 and also has a buyer's guide based on the 4Cs. EGL also offers pre-grading services. 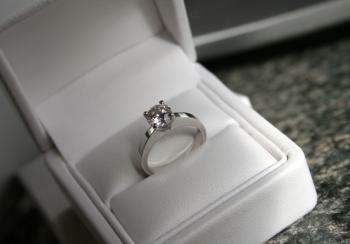 Getting a diamond grading report provides assurance and authenticity of diamonds from an expert. A grading report is documentation of a diamond's characteristics. Each stone is unique and is authenticated in a grading report. The report provides details on all of the inclusions of the stone as well as characteristics that make it unique. A grading report is also known as a certificate. A report commonly includes a plotted diagram of the anatomy of a diamond and all significant characteristics, including the 4Cs, shape, exact measurements, proportions and depth percentages as well as grade, polish and symmetry. It should also comment on the characteristics like fluorescence, graining, and any imperfections in the diamond. Number: The number uniquely identifies the diamond. The diamond lab will have a copy of the report on file according to the number. Shape: Shape is the outline of the stone, such as pear, round, oval, etc. Style: The style is the faceting arrangement, such as brilliant, emerald, princess, or marquise. 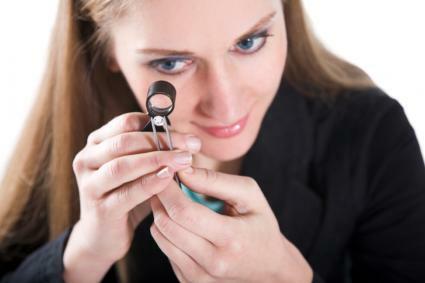 Diamond measurements: Measurements refer to the diamond's diameter. They are calculated to the hundredth of a millimeter. Size: Diamonds are sized according to carat weight, rounded to the hundredth of a carat. Fluorescence: This refers to the sensitivity of a diamond to the long wave of ultraviolet radiation. Comments: Any characteristic not mentioned elsewhere in the report is documented in the comments. Value: A grading report will not mention value or price. It only refers to the diamond's overall quality. This is what makes the report different from an appraisal. 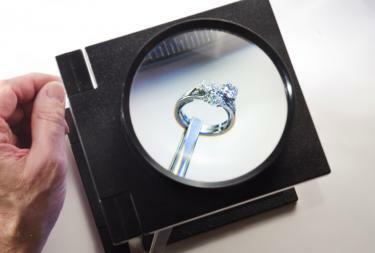 When purchasing certified diamonds it is important to understand the diamond grading criteria used by the laboratories performing the certification. The two best known and respected labs are the American Gem Society (AGS) and GIA. Both of these labs, along with others, provide grading reports that can verify the specifics about a stone. The AGS and GIA are both internationally recognized and are revered for their high standards of excellence and ethics. Diamond grading reports are essential to understanding the stone you plan to purchase. This report not only is important when purchasing a diamond but can also be useful when getting your stone insured or appraised as well. A diamond certificate is also helpful because it allows for comparison shopping. Shoppers once informed about a specific stone can look at other jewelry stores for similar stones. This allows for the best possible deal. 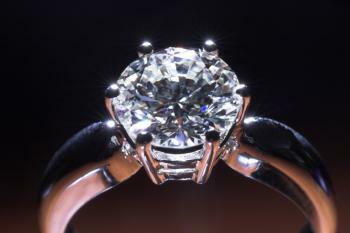 Diamonds can be compared with weight and quality, and then purchased from the jeweler who has the best price. Without a report, this would not be possible. If you buy a diamond without a grading report, you will be relying on the salesperson's recommendation and claim about the quality of the stone in question. Every diamond is unique, with different characteristics that ultimately determine its overall quality or grade. By carefully examining a stone and seeking expert certification of its worth, you can be assured of purchasing an exquisite diamond.